Spacious two bedroom with walk-out patio or balcony. Kitchen with newer appliances and a walk in pantry. Master bedroom with an extra large walk in closet. Have availablity now and are taking applications for August -September. 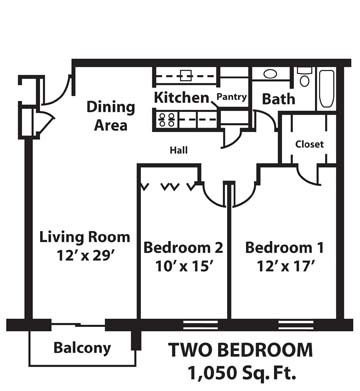 Call to set up a showing for that dream two bedroom apartment home for next year.